The piano sounds familiar at first, playing notes we’ve heard before time and time again, but a soft vocalist comes through and suddenly those notes don’t sound the same. 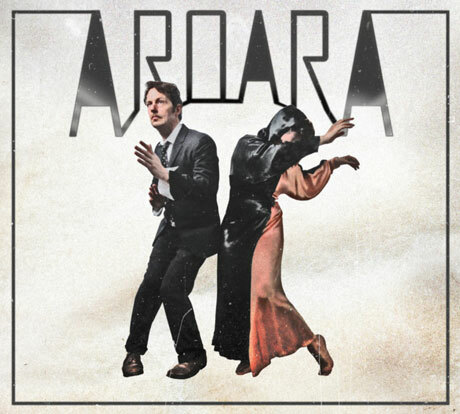 AroarA is a new find for me, but like I stated above something is so familiar even from my first time listening. The use of piano in their single #14 takes me back to when I was younger, my grandfather playing the piano and I’m dancing. It’s a sweet nostalgic feeling, but the image shatters when Ariel Engle‘s vocals come through for the first time and it brings a new kind of feeling. I like it. The rest of the instruments slowly creep in, a good effect, and one I really enjoy about this track. It’s not overly weighted in the instrument department and it’s certainly not in your face, which I find makes perfect harmony with the vocals. Upon my research for this piece, I’ve found out two things… After checking out Engle’s Facebook and MySpace I’ve concluded, Ariel is not a social media fan. In fact, both (Facebook and MySpace) were total ghost towns. I guess having a husband and musical partner like Andrew Whiteman the media is all eyes on him. Oh well, my second finding was that my Bernese Mountain Dog, Max, really enjoys the piano. But I’ll save the best part about all of this for my full album review in August because as of right now only an EP has been released. The full album will be out August 27th, only a few days after yours truly celebrates a birthday.